A MAN is fighting for life is hospital following a serious assault outside a Leeds pub. 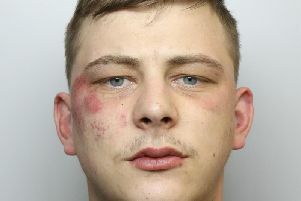 Aaron Bellas, aged 26, of Howden Clough Road, Morley, has been charged with causing grievous bodily harm with intent in connection with the incident. He appeared at Leeds Magistrates Court on Monday and was remanded in custody pending a further hearing at Leeds Crown Court on November 27. A 28-year-old woman, who was arrested on suspicion of assisting an offender, has been released under investigation.